Bella Feagins is a stay at home, homeschool mom to a beautiful little ballerina. She loves crafting and creating useful items for everyday living. 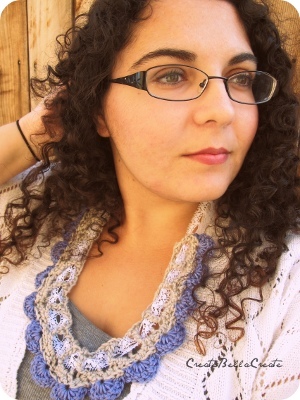 Whether it be crafting, crochet or repurposing "old" items and breathing into them new life, Bella will always be found with several projects going at any one time. She is very passionate about environmental consciousnesses and believes we all have a responsibility in considering the environment while we live out our lives. Handmade and homemade are staples in her house as she and her husband try to make as much as they can themselves before heading out to the store. I can't see the pattern for the Basic Ear Warmer, it says I have to be invited to read your blog?